It’s a scenario that no parent ever wants to witness – their child unexpectedly falling into deep water. Yet accidents do happen, and they can happen even after supervising, setting clear rules and boundaries, or even if the kids have no intention of going into the water. Fortunately, these scenarios are preventable and can have a happy ending – especially when children have been taught what to do if they unintentionally fall in. In recognition of National Drowning Prevention week, here’s what you need to know about swimming supervision and drowning prevention so you can keep your kids’ safe. A misconception about drowning is that it’s loud and recognizable. Drowning is actually fast and silent, often occurring in less than 30 seconds. Avoid this scenario altogether by being proactive, and committed to safety first. Always directly supervise children around the water, even if they have no intention of going in. Active supervision means that your eyes are always on – and that you are avoiding any distractions. Sometimes, well-meaning parents or caregivers can get distracted by cell phones, conversations with other adults, and “quick tasks” like grabbing a snack or going to use the bathroom. Ensure that you are avoiding these tricky distractions, and if you absolutely must step away for a quick task, clearly designate a familiar adult to be in charge while you’re gone. Being proactive also means taking measures before stepping out the door! Triple-check weather and open water conditions, and bring any and all flotation devices that your child will wear. Remember, lifejackets and other flotation devices do act as a layer of protection, but they are no substitution for adult supervision. Lifejackets only work if they’re worn! If your child does plan on swimming, ensure they always swim with a buddy. A swimming buddy is not only more fun, but they also reinforce safety in the water. Encourage your child, no matter how old, to swim with a buddy and to never swim alone. It’s important that they stay within arms’ reach of one another in the water. If they’re not within arms’ reach, they’ve gone too far! The best way to prevent drowning is for your child to learn to swim. Taking part in swimming lessons will not only build your child’s confidence, but will build your own confidence in them. Here at Making Waves, we are committed to safety and want to build your child’s confidence both in and outside of the water. 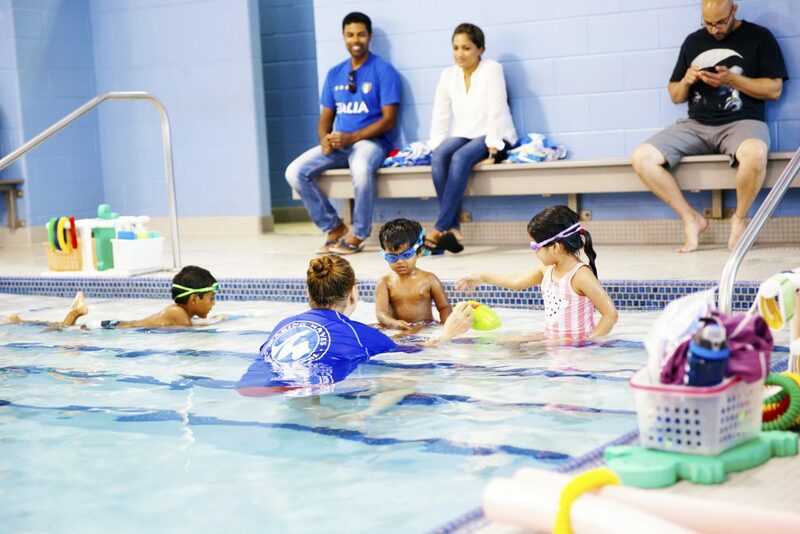 Check out our Programs at a Glance page for more information about our learn-to-swim programs, or give us a call for more information. We also offer a variety of Lifesaving Courses so you (or your teen) can learn essential lifesaving skills. Be Proactive, Be Smart, and Be Safe!